Increasingly we are seeking greener solutions for the working environment. Therefore it is pleasing to note that with ecoSHIELD™ gloves, you don’t have to make dramatic changes to make the workplace greener. Even better ecoSHIELD™ gloves will most likely cost you no more money than standard gloves. When you take into account the savings on storage space, packaging waste, fewer deliveries etc, it only gets better. Here’s how ecoSHIELD™ can work for you. Manufactured from recycled cardboard. The use of recycled cardboard reduces by half CO2 emissions per kg of produced cardboard. Simple design, providing a natural look. The amount of printing on the packaging has been reduced by over 60%. The de-inking stage of the recycling process is the most polluting part. Enhanced design means that 50% more gloves can be packaged in the same volume. 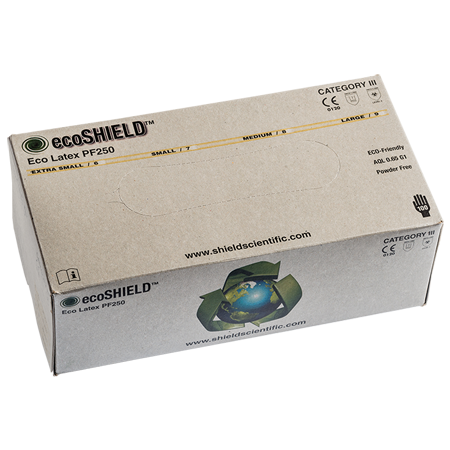 We save more than 30% cardboard to pack ecoSHIELD™ gloves. This represents half a tree for every million gloves packed. Limited use of surface transport in favour of maritime transport. Elimination of air transport, which is known to be ten times more polluting. Shortening of the supply chain which contributes to a 700kg reduction in CO2 emissions for every 1000 cases delivered. 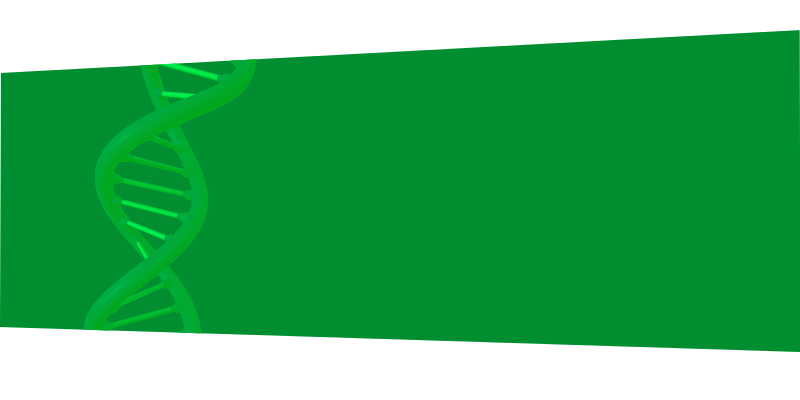 Brand signature: Green for general risk. Laboratory gloves for general protection. Latex gloves and nitrile gloves. Compliance with the latest European standards. Category III PPE gloves (PPE Directive 89/686/EEC)¹. Extra length from 250 to 260 mm (EN 420:2003 + A1:2009)¹.
Biosafety: AQL 0.65 or AQL 1.5 (EN 374-2:2014 Level 3 or Level 2). 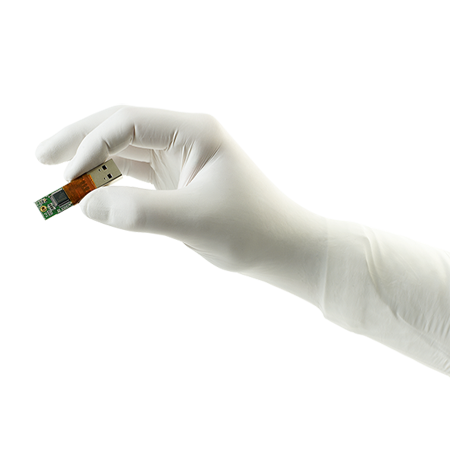 Virus resistant (ISO 16604:2004 procedure B and ASTM F1671-97b)¹.
Extensively tested for chemical permeation (EN 16523-1:2015 supersedes EN 374-3:2003)¹. Less packaging waste, improved logistics & reduced storage². Double walled protection afforded by the twinSHIELD™ technology³. ¹ Except ecoSHIELD™ Natural Latex PF 240 Category I PPE gloves. ² Only ecoSHIELD™ Eco Nitrile PF 250, ecoSHIELD™ Natural Nitrile PF 250 and ecoSHIELD™ Natural Latex PF 240. 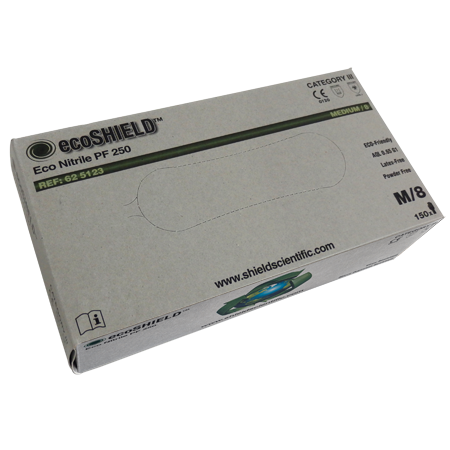 ³ ecoSHIELD™ Eco Nitrile PF 250 gloves only. 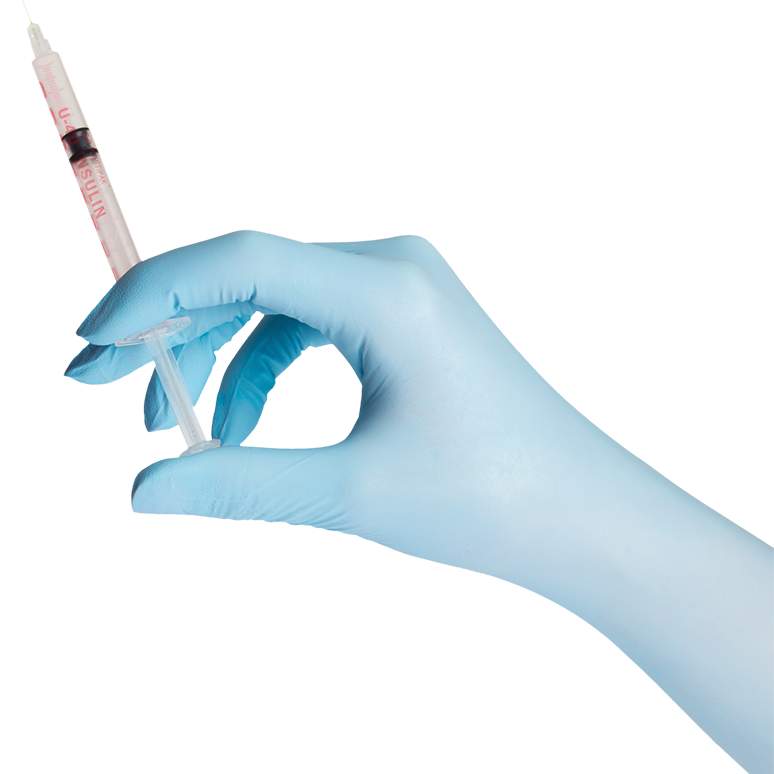 ecoSHIELD™ Eco Latex PF 250 disposable gloves and ecoSHIELD™ Eco Nitrile PF 250 disposable gloves are Category III PPE registered. 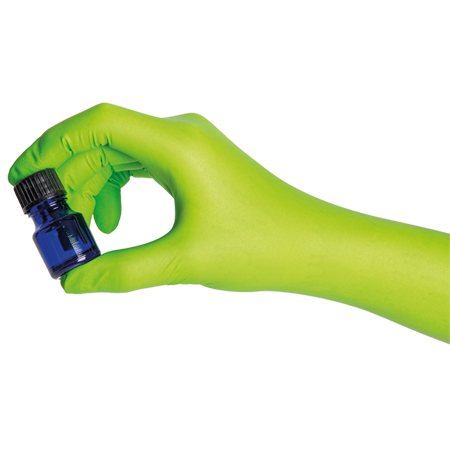 They offer an ECO-logical and ECO-nomic solution in the laboratory. 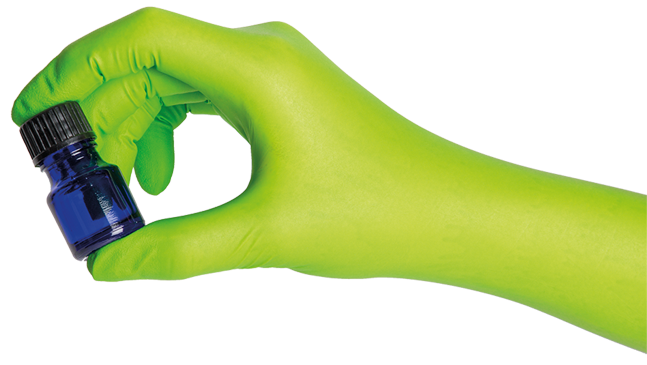 Protective glove, laboratory glove - Category III PPE glove - Ambidextrous powder-free green/white nitrile glove - AQL 0.65 - Regular cuff. 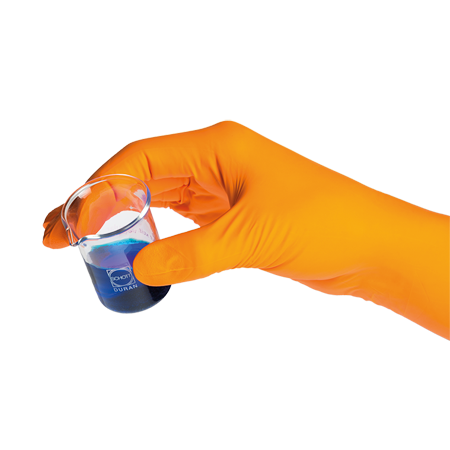 Protective glove, laboratory glove - Category III PPE glove - Ambidextrous powder-free nitrile glove - AQL 1.5 - Regular cuff. Protective glove, laboratory glove - Category III PPE glove - Ambidextrous powder-free latex glove - AQL 0.65 - Regular cuff. 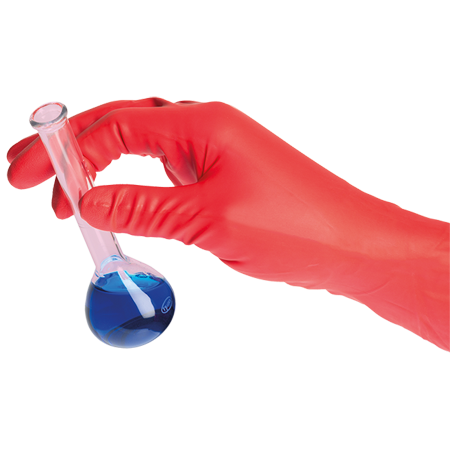 Protective glove, laboratory glove - Category I PPE glove - Ambidextrous powder-free latex glove - AQL 1.5 - Short cuff.